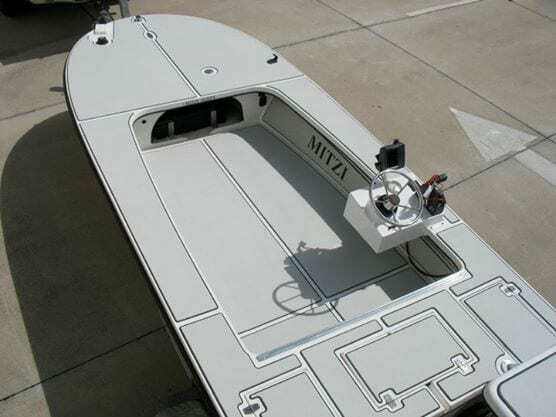 I got a call from a customer up in South Carolina who was looking to convert a center console Mitzi Skiff into a side console. While I get many customers who ask me to do all sorts of stuff there are things I will and also wont attempt. I figured this one was better left for the guys over at Orange County Boatworks. 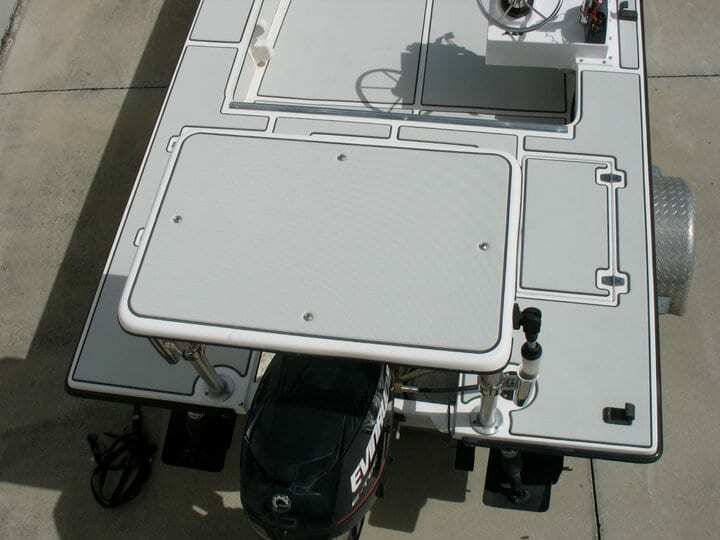 After they did the conversion there was no better way to cover up the evidence of the old center console than to lay down a SeaDek floor kit, after the holes were properly repaired of course. We he decided to do a little more than just the floor and opted to do the entire boat. Many customer like to add custom logos to the decking and this customer decided to keep it simple and clean by just adding Mitzi to the undergunnel pads. 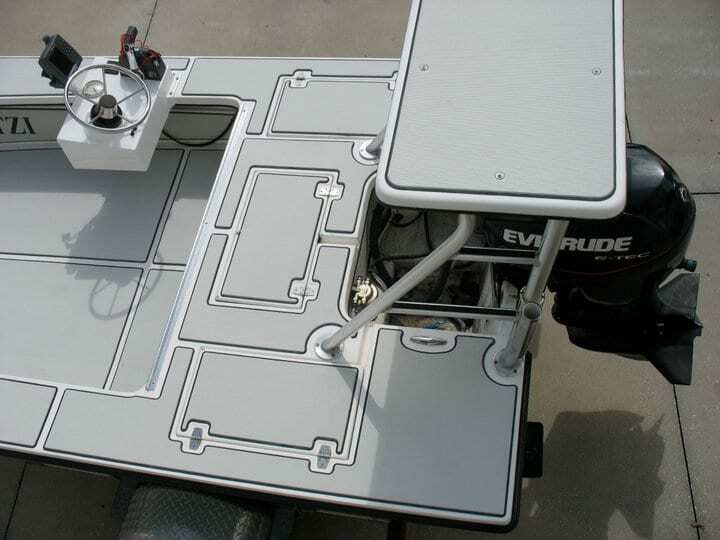 Since removing the center console opened up a ton of space in the flats boat he also purchased a 65 Qt Yeti Tundra cooler from me to use as a coffin box and extra seating. He came down to pick up his skiff and was very pleased with both the work performed by Orange County Boatworks as well as the work by Castaway Customs. 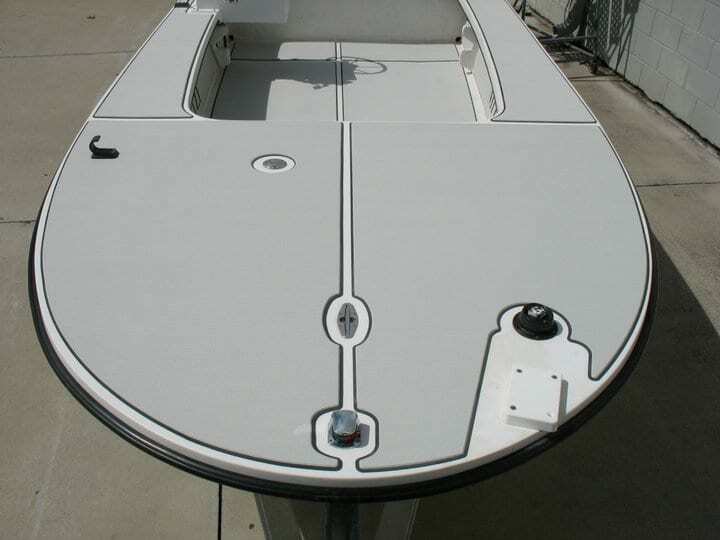 If you need any custom SeaDek, Yeti Coolers, or anything to trick out your skiff get in contact with me and if I can’t do it myself I can at least point you in the right direction. You can reach us by email at info@castawaycustoms.com.